We have received your Heart health questionnaire! Please check your email for the free exercise technique details. Please let us know if you have any questions. There is a little known natural phenomenon relating to the way that the human body works that is called Respiratory Sinus Arrhythmia (RSA). 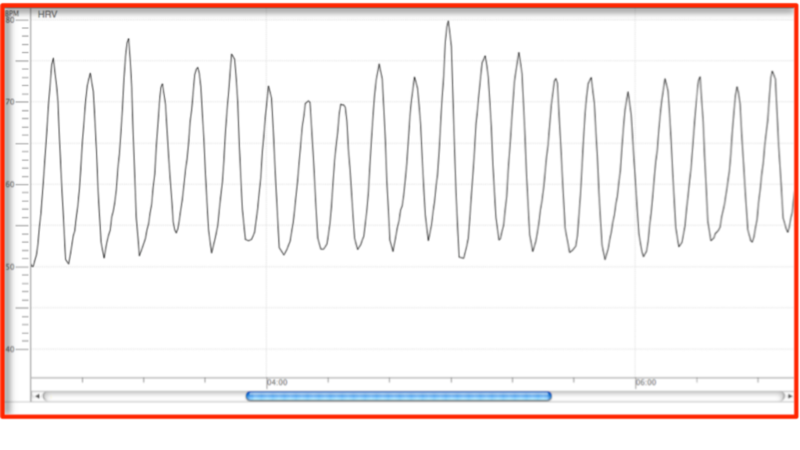 This is the tendency for the heartbeat to speed up a little on the in-breath and slow down a little on the out-breath. 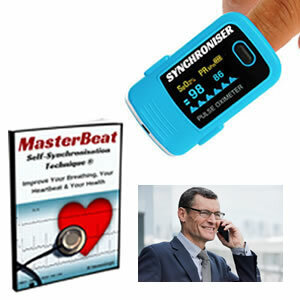 Due to a new and exciting discovery, it is now possible to utilise this biological response in order to create and maintain a dramatically improved heartbeat rhythm. Click here to read a detailed scientific study that explain why the RSA response can be so beneficial to heart health. By checking the box below, you are subscribing to our newsletter. Recent research has shown that, to a greater or lesser degree, the vast majority of people suffer from a condition best described as Heartbeat Chaos. Heartbeat Chaos is a term coined by Heart Coherence Biofeedback Specialists. This term offers an accurate insight into the way peoples hearts generally beat i.e. chaotically and erratically. For most people this may not ever develop into a serious heart health issue. But, given the statistics of heart attack and stroke etc, it is of course very wise to reduce any potential risks. An excessively chaotic heart heartbeat rhythm can easily be measured when someone has a heart arrhythmia or atrial fibrillation. This is when the heartbeat commonly displays little to no rhythm whatsoever and actually beats excessively erratically, to the point of it becoming a serious health issue. 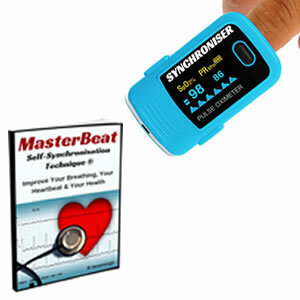 But, by practicing the MasterBeat Self-Synchronisation Technique it is possible to control your heartbeat and encourage it to beat rhythmically. The quality of breathing is the other important aspect to consider when doing Self-Synchronisation This is because most people breathe shallow breaths that, like the heartbeat, are also erratic and non rhythmic. By synchronising the breathing and heartbeat together however, using this Self-Synchronisation Technique, both functions become perfectly aligned. They then both become rhythmic as they harmonise with each other. The beneficial effects of creating this harmony between the two most important functions of the body cannot be overstated. But, common reasoning should help us understand how and why this is so valuable for health and wellbeing. This should be especially true when you consider that there is demonstrably a prevailing trend of chaotic erraticism with people’s heartbeat and breathing functions. Heart Coherence Biofeedback Specialists (like me). These specialists use cutting edge biofeedback measuring equipment to show that the heartbeat can be accurately measured for its rhythm. So yes! You can think of your heartbeat as something that can be either chaotic or rhythmic. Then, they can offer effective ways to help improve how the heart beats from moment to moment. When under the guidance of one of these specialists, the results observed when using their measuring equipment are most often immediate and clients are generally left amazed at how they can influence their heartbeat using only their breathing. 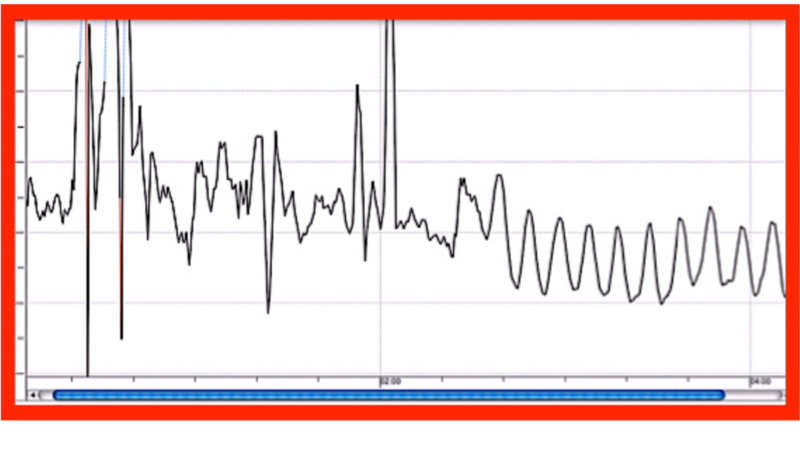 The difference that this technique makes to the heartbeat rhythm is clear to see. 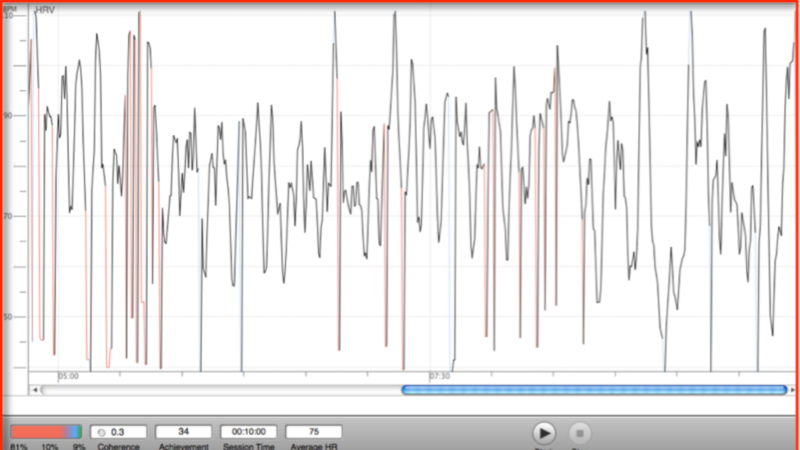 This last graph line image is a very typical example of the almost immediate changes that my clients make when starting to do The Self-Synchronisation Technique. So, what exactly is Self-Synchronisation? 1) Self-Synchronisation is a self-regulation technique that has been developed by an expert heart coherence specialist (myself). 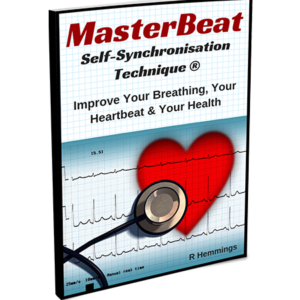 It is a way that you can precisely synchronise your breathing and your heartbeat to a maintainable rhythm. And, as the name suggests it can be done by yourself. 2) Self-Synchronisation is also a way to finely tune these functions so that they work much more harmoniously together. This harmony is more easily seen in relaxed children than it is in stressed out adults. 3) Self-Synchronisation is a way of making both the breathing and the heartbeat more efficient and effective. 4) It is a clever and very effective way of bypassing the need for any expensive biofeedback measuring equipment, allowing for anyone to immediately self-regulate both their heartbeat and breathing responses. 5) It is a technique that has been rigorously tested with many different people of all ages and backgrounds and proven to be highly effective 90% or more of the time. Whereas before, to learn to be able to benefit from the RSA response, it would have been necessary to consult a heart coherence specialist face in order to be shown how it can be done and whether it was being done effectively or not. Now however, it is easy and uncomplicated for it to be learned and practiced from the information in this eBook. The 2 main primary functions that keep us alive are first the heartbeat and second breathing. By improving both simultaneously, all other bodily functions can benefit. When all of these systems are working better and in more harmony with each other, reasonably, we can of course expect to be healthier. MANY health and fitness experts recognise the importance of Heart Rate Variability (HRV) and Heart Coherence (HC) measurements. These measurements are rapidly becoming widely regarded as THE most significant biometrics for gauging a person’s overall health and fitness levels. When you practice Self Synchronisation, not only are you VERY effectively improving both biometric measurements simultaneously, you are in fact MAXIMISING them. We are currently offering 3 different product packages below. The eBook comes with a full 30 day money back guarantee, so you have nothing to lose by learning about and trying the technique out now. But, once again, although this technique is 100% natural please consult your Dr. or cardiac specialist if you have serious heart health concerns before commencing.